The US based singer , Justine Skye is rumoured to be Wizkids current girlfriend. 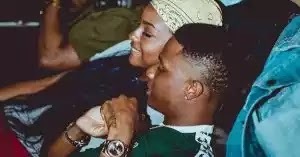 Pop star Wizkid shared a photo of him embracing his rumored girlfriend US singer Justine Skye on his Instagram page. There were some speculations in the past of Wizkid and Seyi Shay being in a romantic affair. Seyi Shay seemed to have gone all out in her video ‘Crazy’ where she featured Wizkid. 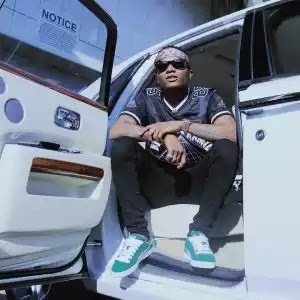 The singer was spotted in a scene at a very romantic posture with the star boy Wizkid in the music video directed by Meji Alabi. That video features strong “cirque du soleil” element and had several $exually explicit scenes. The brief scene has Seyi Shay grabbing Wizkid’s crotch. The scene happens in the 2:15 mark of the video. There have been rumors that both acts are ‘more than just friends’. In the video, there is also another scene where Wizkid is drumming on Seyi Shay’s backside as the female singer was grinding on him. Well, there seems to be a lot of chemistry between both acts. Could it just be music or more? Chidinma Ekile, popularly known by her stage name Chidinma, is a Nigerian singer-songwriter, recording artist and stage performer. In 2010, she rose to stardom after winning the third season of MTN Project Fame West Africa. Wizkid once said that he had a crush on Chidinma. 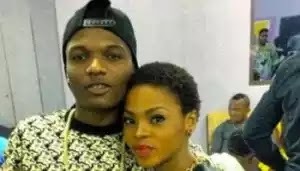 In his words, “I have a huge crush on Chidinma for a long time…she doesn’t know but it’s true.” Being a star boy, things might have gone down between them both. You never can tell..
Hudda Monroe is regarded as someone whom you can not trust your boyfriend with so rumor had it that, ,the former BBA “The chase” housemate Hudda Monreo was dating Nigerian hottest Hip hop and R&B Star Boy. It didn’t just end there, She went on to confirm by posting romantic photos of her and Wizzy on Instagram. Rumor had it that Wizkid and the Kenyan diva Victoria Kimani were dating. Wizkid was caught kissing Kenya singer “Victoria Kimani” at the Westlands Hotel in Kenya…. “To think I just started having $ex at the time… I was just frustrated… Like who sent me it’s funny now wasn’t funny then oo. Imagine seeing your monthly period unknown to you that there’s a baby growing in you! MAHNNNNNN!!!! God is great! !“ she said. 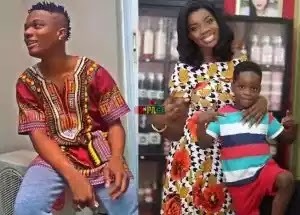 Wizkid’s first girlfriend was Sophie Rammal. They started dating during his early days in the music industry.In case you have forgotten , Sophie featured in Wizkid’s first single, ‘Holla at Your boy.’.